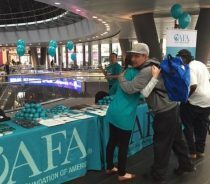 The Alzheimer’s Foundation of America (AFA) is a leading national organization focused on raising Alzheimer’s awareness, educating caregivers and healthcare professionals, and encouraging early detection and proper treatment. Our goal is to improve the quality of life for people who have Alzheimer’s disease. Over 2,600 organizations across the nation are committed to our mission of providing optimal care and services to individuals confronting dementia, and to their caregivers and families. Such services are critical as the disease continues to grow. Listing of services and programs on AFA’s website. Referrals through our national toll-free helpline, staffed by licensed social workers, open 9:00 am to 9:00 pm, weekdays and 9:00 am to 1:00 pm on Saturdays. Dementia care training available through AFA’s Dementia Care Professionals of America Partners In Care program. Access to upcoming educational conferences and training opportunities. Assistance in setting up memory screenings in your organization or community. 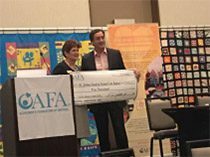 Subscription to our award-winning AFA Care Quarterly magazine, and bi-weekly e-newsletters, which include member organization profiles. Contact us today at (866)232-8484, to speak further about all the membership benefits AFA has to offer! Please insert the membership overview and benefits from attached flyer first, then the following overview of dues. Full member status is limited to non-profit organizations. Annual dues are based on the size of the organization’s budget, per the table below. Associate membership is open to for-profit organizations. Annual dues are based on the size of an organization’s budget, per the table below.